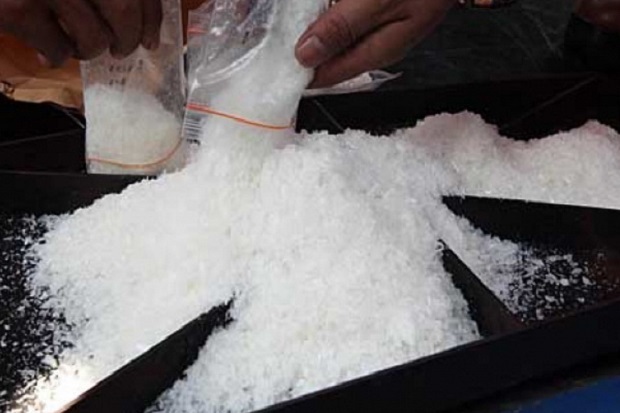 Virac, Catanduanes— Policemen in Pandan, Catanduanes province recovered this morning more than PhP2 million worth of shabu (methamphetamine hydrochloride) following a tip from an illegal drugs suspect. The stash of illegal drugs was dug up at 2 a.m. in Barangay Balangonan said Senior Supt. Jesus Martirez, provincial police director. He also added that they found the drugs based on a tip given by Randy Eusebio, 33, an abaca stripper, who was earlier arrested for drugs possession. This is the largest volume seized in the island province of Catanduanes, consisted of 71 packs with an estimated street value of P30,000 each, for a total value of PhP 2.13 million. Police raided Eusebio’s house in Barangay Libod, also in Pandan, two days earlier and found 12 sachets of shabu said by Martirez. On the same day, police in the capital town of Virac searched the house of Noli Vargas in Barangay Concepcion and recovered a sachet of shabu. Vargas was not at home during the raid.